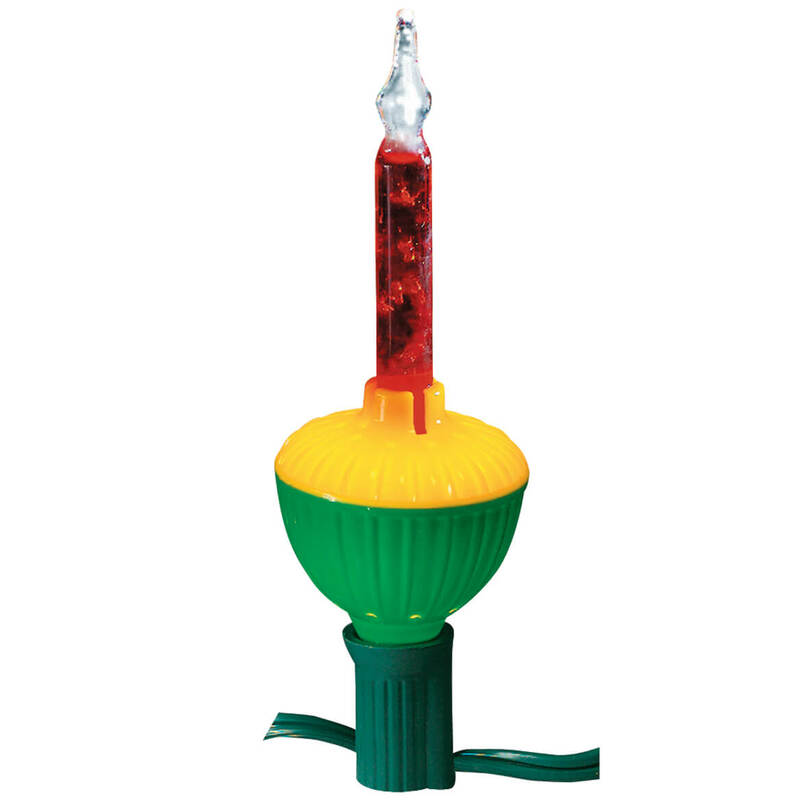 Perfect gift for the Youngest Son...we all got a laugh! These (I ordered a youngest and oldest) are really nicely done but they didn't arrive in time for me to leave for my Christmas trip. Obviously, they were for my kids but now I just get to ship them to them. 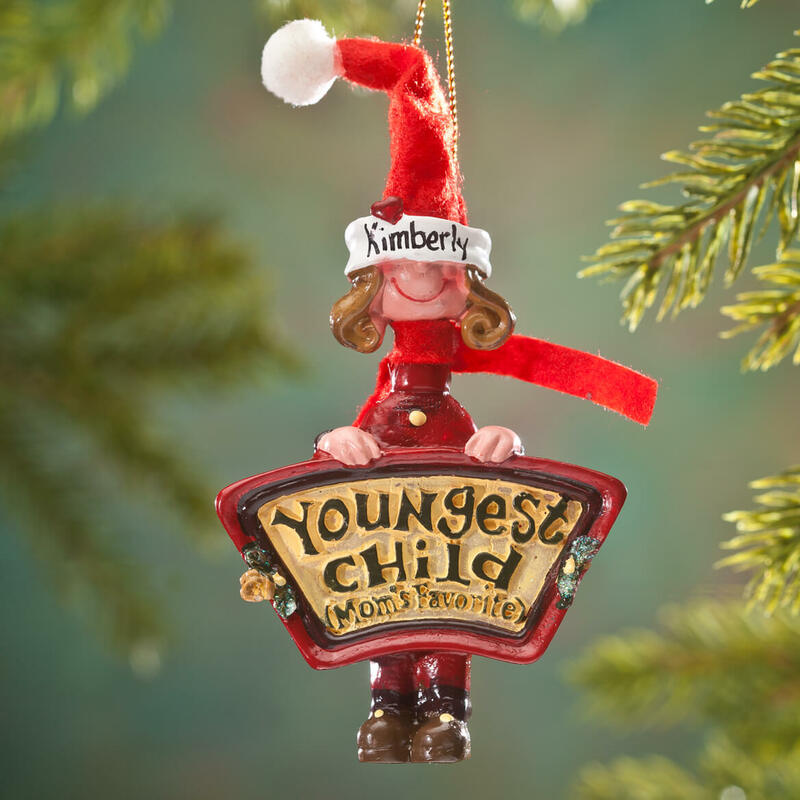 This ornament for the youngest child is a great complement for the oldest/firstborn ornament when you have two, competitive grandchildren in one family and know they will be comparing what they receive! And the ornaments are just plain cute!! 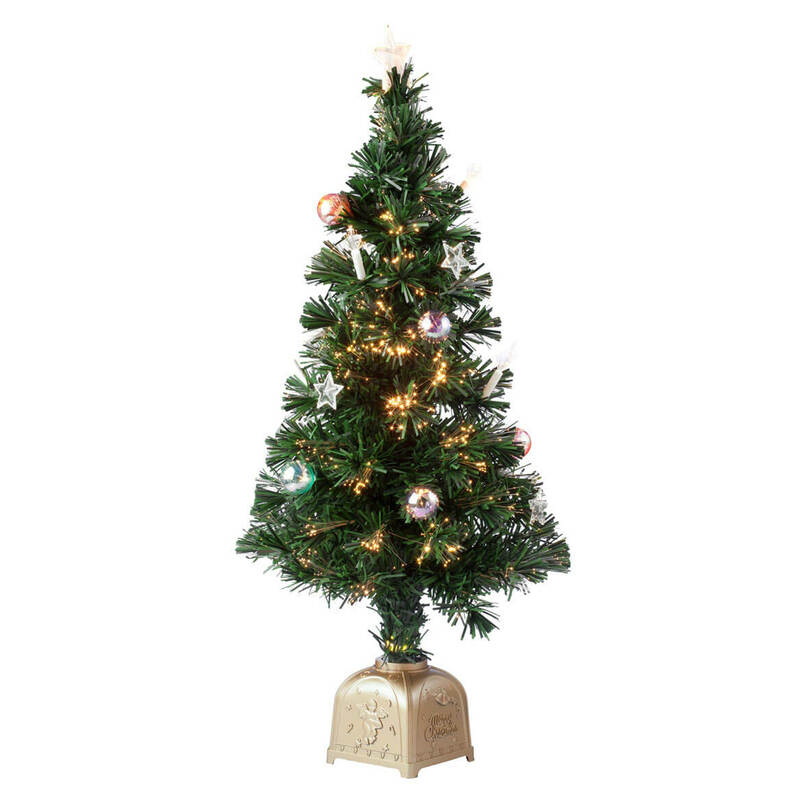 I ordered two of these ornaments. One oldest child and one youngest child. 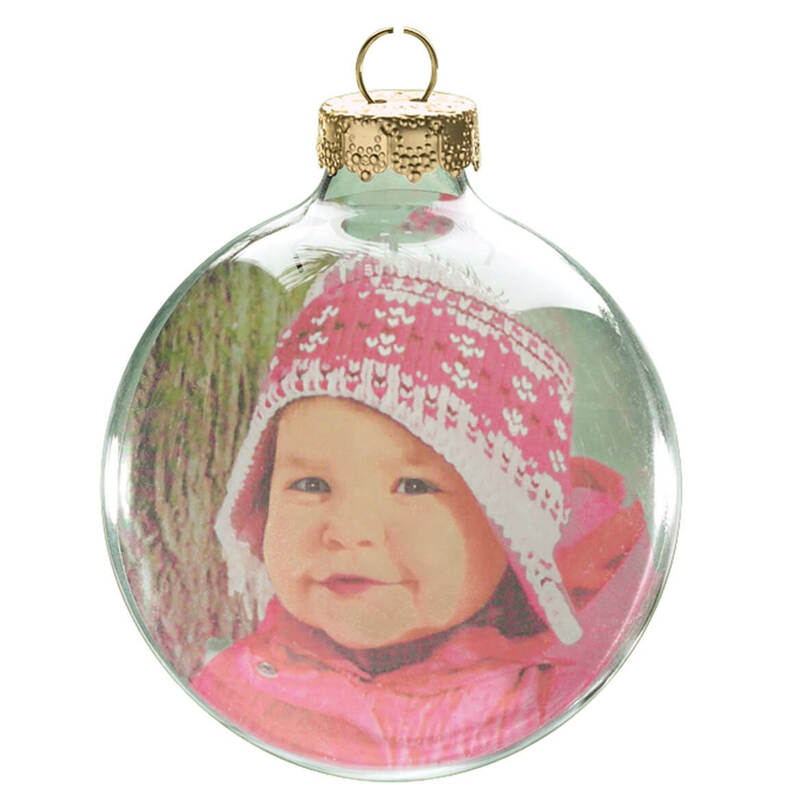 When I received my order, I noticed that the youngest child ornament (girl) was actually a boy ornament. Customer service was called and was very nice and helpful in the exchange process. I received my replacement ornament just the other day and although it is correct now, the writing on the sign " Mom's favorite" is not very clear. Disappointing! sent his sister one a few years ago... they are only funny if all the children get one. 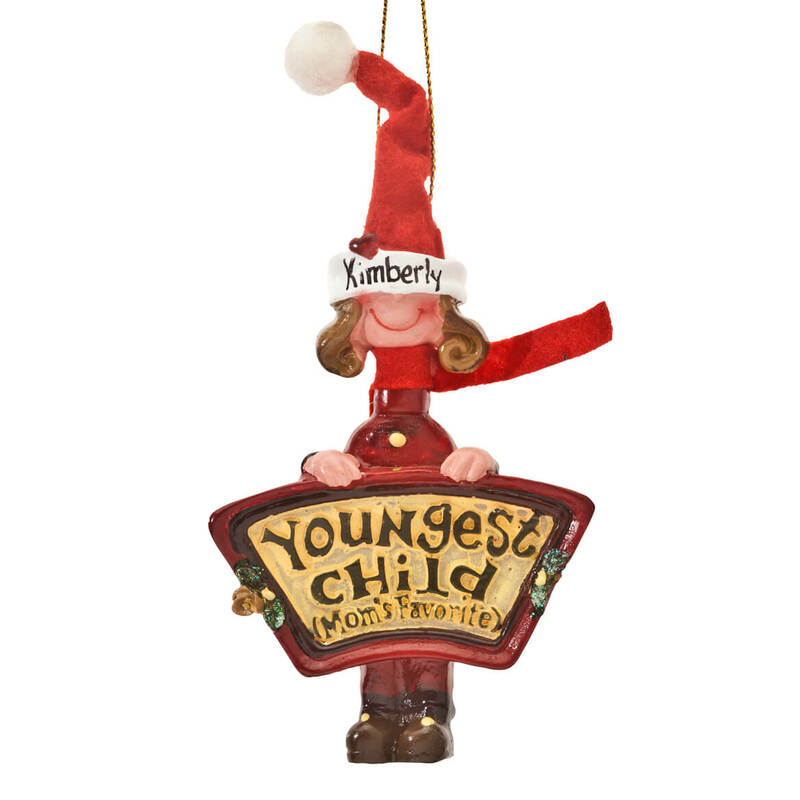 Cute ornament with funny, snarky attitude! a family joke ornament for my youngest grandson. Found these ornaments at Kmart but did not have a youngest child girl ornament, so checked Google and found it on Miles Kimball. This is for my son-in-law. He liked my daughters and I got him one and said it was from his mom. For my grandkids as the 3rd child arrived. The personalization capability as well as the humerous quality is applicable to all ages' young and not so young, of children. "I had not seen these before, and I thought the grandchildren would enjoy them." Have 3 granddaughters and they loved them. It was for my youngest child. The older two children tease me about the youngest being the favorite. It was fun to watch their faces! 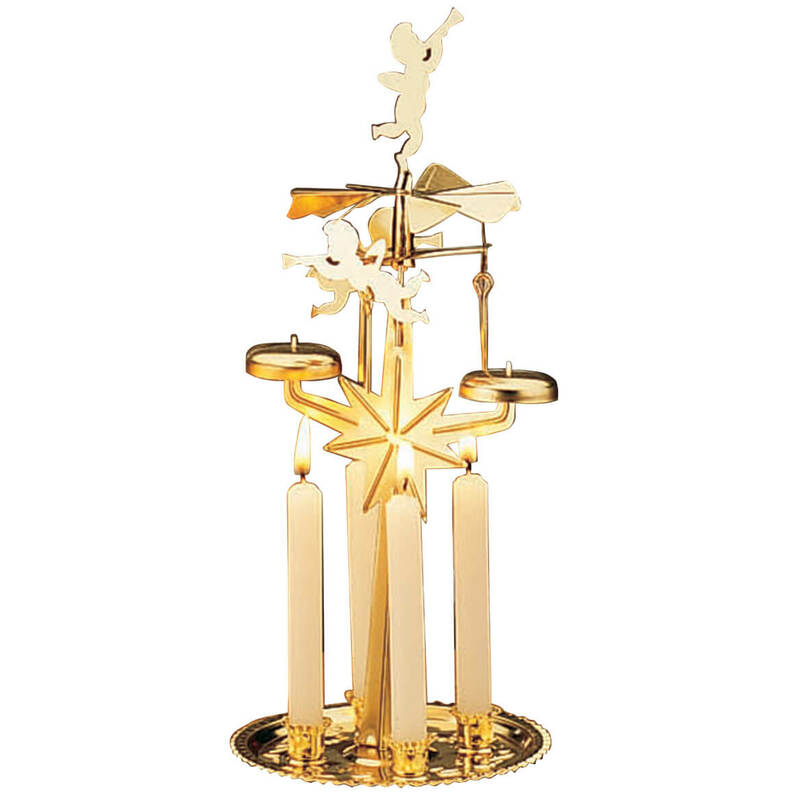 It is perfect ornament for me to show my love to my son. to finish my collection of this particular ornament series. Can't leave any of my kiddos out. i think it's adorable & my youngest daughter asked for it. I have 2 adult children, they are both favorites!! 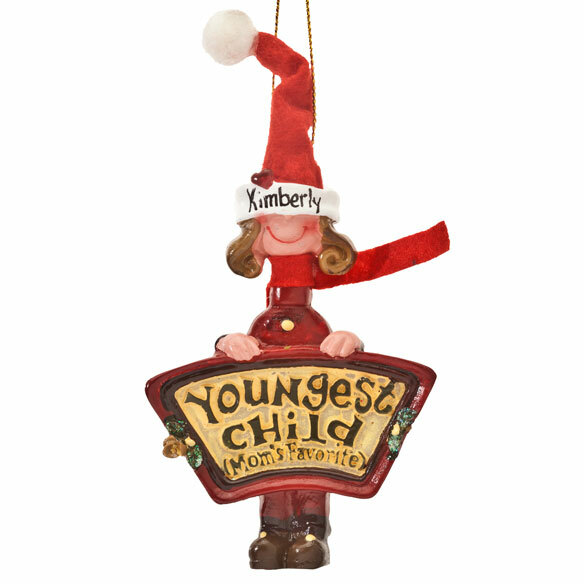 When will you have " Mom's favorite youngest child ornament on boys? BEST ANSWER: Thank you for your question. 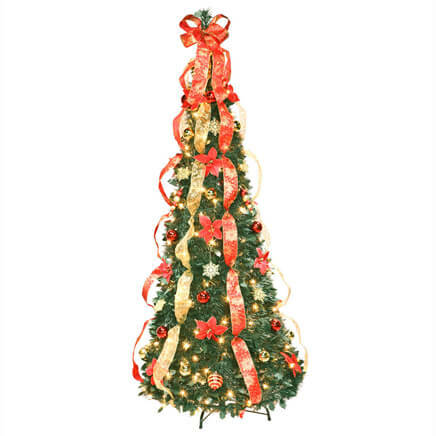 Unfortunately we do not carry the ornament in a boys design. We hope this information will be of help to you.